After Robin Williams’ death last week, a handful of grassroots campaigns cropped up as fans lobbied game studios to pay tribute to the comedian—and longtime video game fan—with a special character in a future release. Nintendo responded to one fan petition with a gracious tribute to Williams while declining to say whether the company plans to put a Williams character in the next Zelda sequel. But Blizzard, the studio that makes World Of Warcraft, did agree to honor Williams with an in-game presence. 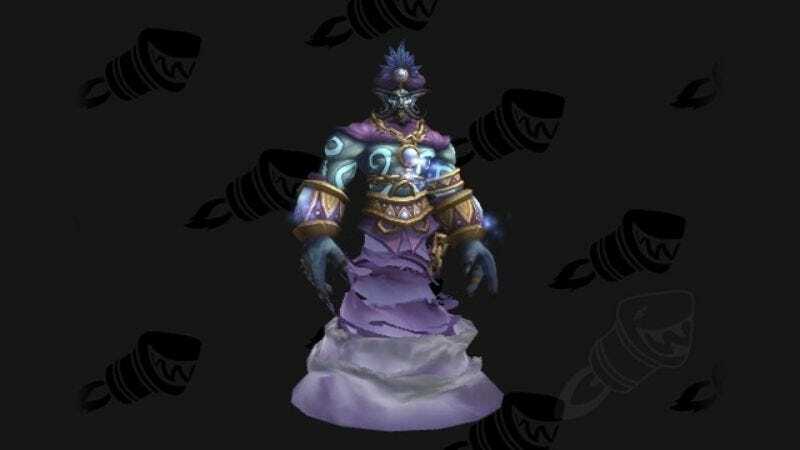 And it appears that Blizzard’s designers got straight to work on it: The WOW fan site Wowhead dug through the latest beta for an upcoming WOW expansion, Warlords Of Draenor, and discovered avatars for three characters billed as “Robin The Entertainer,” all of which reference famous roles from Williams’ career. Another Robin is a gray-haired woman, presumably referencing the title role in Mrs. Doubtfire. And the suspenders on a third Robin make this avatar a visual echo of the TV role that launched Williams’ career, Mork & Mindy’s Mork from Ork. While there’s no official confirmation that these are the Robin Williams characters that Blizzard promised, the evidence strongly suggests that they are. And it’s not as if Blizzard’s programmers would be caught off-guard by a player “data-mining” a beta release like this—obsessive fans do that all the time. So these images essentially constitute a semi-intentional leak of a fun and fitting tribute to the late Williams.